There are Sisters, and perhaps others, present here today and I am one of them, who have been celebrating annually this Festival over periods of 50, 60, 70 years and more. So many homilies, so many sermons! What can be added to what has already been said? Each of us can ask: What can we make of St Michael and All Angels in the 21st century? A century which subjects reality to the bar of reason and scientific proof, and certainly has consigned to the realm of fairy tales any unearthly creatures who get about on wings and appear or disappear at will . A post-modern, post-Victorian, post-Christian age. What has a Valiant Victorian to say to us now 136 years on.? Emily could have chosen a more tangible dedication for her Community, rather than the disembodied creatures who filled the court of heaven in Isaiah’s vision. But she chose St. Michael and all the heavenly Host. What does that mean for us now? Emily and others of the mid 19th century could never have imagined our world of the 21st. Can her inspiration and dedication to St. Michael and All Angels provide us with the motivation today to remain true to our calling? In spite of the social work Emily undertook to relieve the materially disadvantaged of her day, that was never the real end she had in mind for her Community. We know what that was: ‘To pray and work to the honour and glory of God, for the coming of God’s reign on earth’. 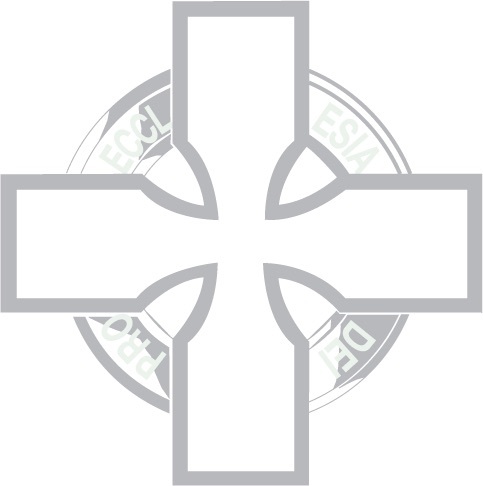 In choosing the motto,Pro Ecclesia Dei she was expressing her desire that the Community should be an instrument in the Church’s task of proclaiming the reign and sovereignty of God.’ We are called the ‘Sisters of the Church’. The Church today needs redemption as, indeed, it needed then. Emily’s vision and inspiration straddles the centuries for it is as energising now as it was in her day. What our world needs now, and I’m sure Emily would recognise the need, is a recall to spiritual values, a re-telling of faith stories which gave meaning to our ancestors, and, if translated into a language which could be understood by our contemporaries, would restore meaning to many who lack meaning in their lives today. What seems to have been Emily’s seminal inspiration was Isaiah’s vision - that powerful imagery in Isaiah Chapter 6 - whether in a daytime dream or one by night we are not told. But, at any rate some time when, in today’s parlance, the threshold of his ordinary awareness was lowered and he saw beneath or beyond the ordinary world. The court of heaven, we are told, was filled by the Presence of God and there were angels there, each having 6 wings. Two covering their faces, because they could not, dared not look on the Face of God, two covering their feet because in that Presence, action had to give way to adoration, and with two they sprang into action flying with directness and fleetness to deliver the messages received from God. And, of course, messenger is the keyword to understanding the meaning of ‘angel’ which is merely a translation of the Greek word angelos . A word which simply means ‘messenger’ which scripturally can allude to a human bearing a message or to a disembodied messenger coming to humans in visions or dreams and sometimes in serendipitous turns of events. It is unfortunate, though only human, that these messengers have been portrayed in art as human beings, usually an emasculated male, having wings. That for the sceptics, the Richard Dawkins of this world, is a sure invitation to ridicule. With regard to being messengers, we are giving and receiving messages all the time whether intentionally or not. The work we undertake as a Community involves giving intentional messages directed towards the fulfilment of our vocation. And, of course, like it or not, aware or not aware, we give non-intentional messages all the time. Angels, we are told, sleep not, either day or night - a habit which thankfully we are not meant to imitate. But what of those visions, imagery and dreams, those messengers which come to us by night? I know I’ve met certain old friends and acquaintances long since dead, and some still alive, in my dreams and I have asked myself what their message may mean, what have their personalities to say about me?. It is often necessary to engage the help of a friendly human angel to help us get the message. But that is another story. I wonder, sometimes, if messages sent to us by God are not delivered in broad daylight because, fully conscious and defensive, we can be totally resistant to their meaning. This surely was the case with Peter, the stickler for tradition and the Jewish law which forbade association with Gentiles. We read in Acts chapter 10 how Peter, tired and hungry went up to the roof of his house to pray at noon and while the meal was being prepared, we are told, he fell into a trance. We would call it dozing off, and he had a dream which illustrated a truth which he could have never entertained in his waking hours. It led him to the house of Cornelius, a Gentile, and eventually to his realisation that God makes no distinction between Jew and Gentile. Then I heard the voice of the Lord saying, Whom shall I send? And who will go for us? And I said: Here am I send me. After which the Sisters prayed a short Collect for vocations. Neither Scholastica, nor Dorothea who joined the Community 4 years later can say for sure what the provenance of this familiar prayer is (familiar to us older ones, that is). But it is not fanciful to think it can be traced to the Foundress herself since it was known to be in use within 30 years of her death. Some time about the middle of the last century this Memorial of the Community, as it was called was buried in the process of changing the pattern of reciting the Office. I have a certain feeling of regret at its loss. Isaiah’s vocation to be a prophet was conferred on him in that vision as he responded to the voice of God by saying: Here am I, send me. Can the vocation of a prophet have meaning for us? Maybe it can if we recognise that a prophet is also a seer - one who looks and sees, one who listens and hears. These things come with stilling ourselves in the Presence - cannot be accomplished on the hoof as it were, or on the wing! Go and tell this people, was the final command to Isaiah. Tell what? That is what Isaiah had, and we have, to ask. What have we to tell ‘this people’ in the 21st century? Our ministry cannot be confined to the converted, or to the materially disadvantaged any more than it was in the 19th century. There is a spiritual hunger out there and a poverty of resources to satisfy it. It seems now that the more we possess materially, the less we have in spiritual resources. People no longer derive meaning from what are called the Grand Stories- in Christianity the Good News, the seasonal re-telling of birth, death and resurrection. Other religions ‘of the book’ Judaism and Islam have their own Grand Stories and their spiritual leaders also complain that they no longer engage the minds of a new generation. They no longer believe these saving stories, and they cover up the consequent lack of meaning in their lives by passing their time idolising other things, the worship of TV idols, fascination and identifying with so-called reality shows. And what about sport - Football has its hierarchy of ordained ministers, as well as a picturesque ritual with mascots which bears a striking resemblance to that of religious worship, not to mention their huge congregations! The instinct to worship seems ineradicable. This is the world our Foundress is calling us to. Her inspiration and vision, as I have said, are such that straddle the centuries and time itself. They have a foundation firmly established in eternity, in the court of heaven where prayer/adoration and action characterise the angels, the messengers of God. The message for CSC today? Go and tell this people!